Caribou Coffee Company Inc. is reportedly closing 160 stores across the country as it shifts its core focus back to its home market of Minnesota. About half the locations closing will be rebranded as Peet’s Coffee and Tea stores. This announcement comes only a month after the Minneapolis-based coffee chain broke off plans to open shops inside J.C. Penny stores. Joh. 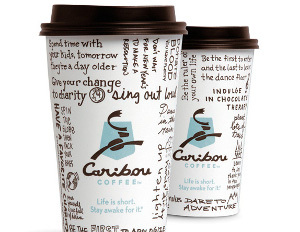 A. Benkiser, a German investment company purchased Caribou in a private $340 million deal this year. The new owner of Caribou will be closing 80 stores and converting the remaining stores into Peet’s coffee and tea stores. Peet’s Coffee was founded in Berkeley, CA, and is now headquartered in Emeryville, CA. The bulk of its stores are located in California. The company also maintains stores in Colorado, Illinois, Massachusetts, Oregon and Washington State. According to social media reports, the store closings were announced Friday to managers in a conference call. About 1,000 people are expected to lose their jobs. Closures will take effect Sunday at noon.